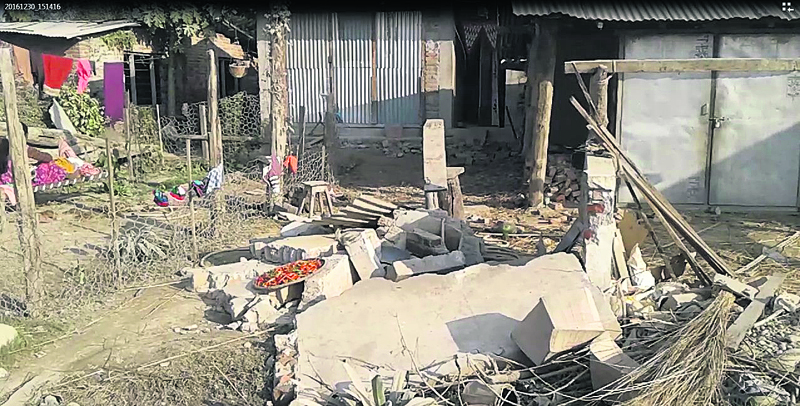 A house destroyed by wild elephants in Manau VDC of Bardiya in this recent photo. MANAU, Jan 5: It has been a week since Khagendra Gautam, a local of Manau, has been obliged to take shelter at schools and in the house of his relatives due to the terror spread by rampaging elephants. He believes the school building could be safer than his mud-built house but still he has not been able to get a proper sleep because of the fear that his house might get attacked by burglars in his absence. "I have heard that Bardiya National park is best known for conserving and protecting wild animals in the country but I don't understand why we have never been able to live without the fear of being attacked by elephants," said Gautam. "How long will we stay by asking for shelter with others?" he wondered. Bimala Pariyar, 32, of Hattikhalla, Manau lost her life as she was crushed by an elephant on December 28. Despite her relentless efforts to run away from the elephant, she was caught and killed by it in the market. On the same day, Bimal Singh, a student and Ram Prasad Lamichhane, a principal of a local school were seriously injured in an elephant attack. Similarly, Mangra Tharu of Parsa died last Friday during his treatment after being attacked by elephant. A dozen wild elephants had attacked the villagers resulting in the death of one of them. Locals tried their best to chase the elephants away but were not successful. When a team of Nepal Army started firing, they ran toward the Katarniaghat Wildlife Sanctuary of India. Four months ago, Yuvraj Tharu, 15, and Purai Tharu, 72, lost their lives in elephant attack. 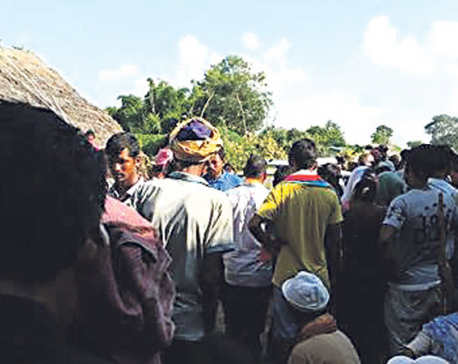 The locals of Manau are forced to tolerate the menace of the tuskers coming from India and the BNP. They are very much dissatisfied with the government for not taking their problem seriously. 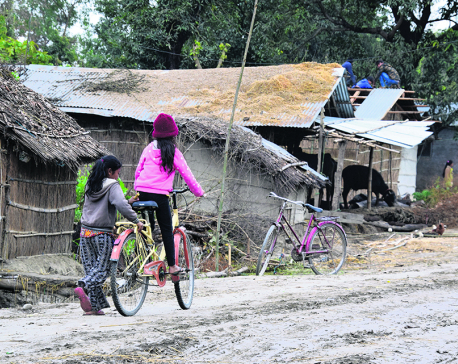 "Our life is under risk but the government doesn't care at all," said Kamala Bhatta, a local. 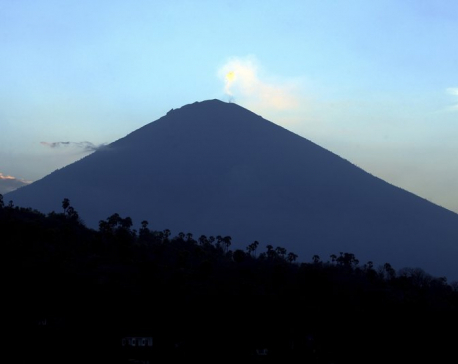 This has not just caused the loss of human life but it has also caused the loss of property, affected the trade and business badly and has even forced some locals to migrate to other places. More than 140 houses have been destroyed and 36 people killed by these elephants in the last 17 years. The houses are yet to be repaired. Villagers accuse that the organizations working for the conservation and risk mitigation of wild animals have done nothing for them.